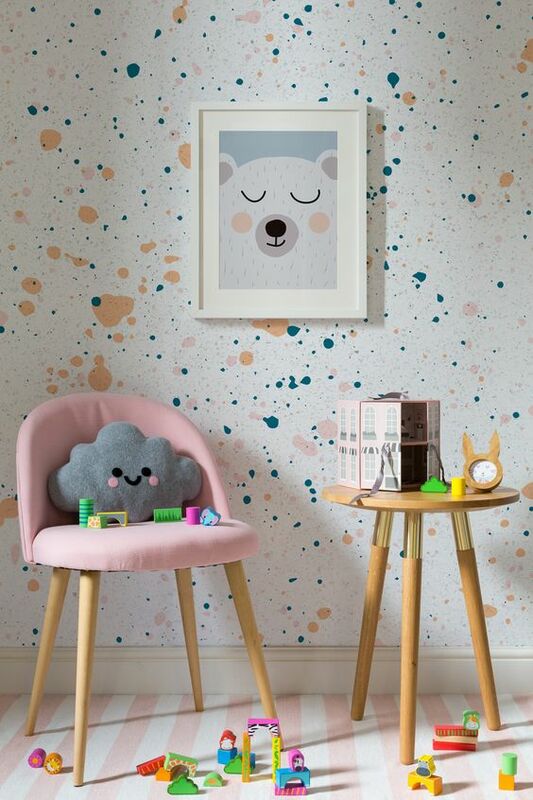 Easy Children's Room Decorating Tips | Ashgate Furniture Co.
It’s almost the end of the Summer Holidays, and it’s at this point where things might have dried up a little on the ‘things to do’ list to entertain the little ones. So with just a few more weeks to go, why not occupy them with something a little fresh and new to help them start off the new term with a bang? We know, that sounds like a mess right? 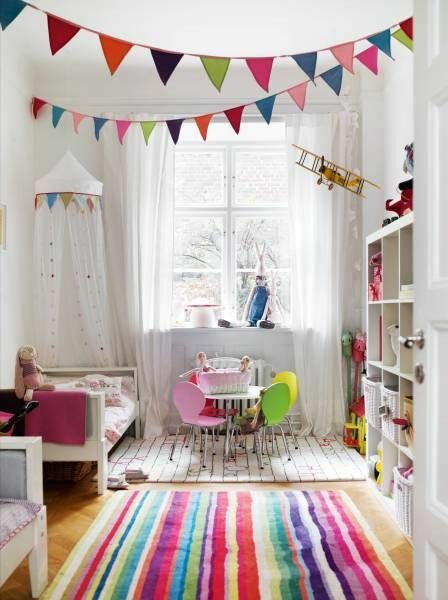 There are a few hassle free ways to decorate the kiddies room, and they’ll love to help out. It’ll need plenty of storage, too and a space for them to separate sleep and play. We’ve collated a few tear-free ways to decorate their room, so that they’re ready to head into the new term. …within reason of course. Giving them that little bit of responsibility means they know that they’ve had an input into the overall style. Whether it’s letting the select the colourscheme, their favourite cushions or something small, it’ll still feel like they’ve added their own personal touch. Depending on how old the tots are, get them involved with the practical side as much as possible: Allow the project to be fun and something to allow you to bond with your children. It might be as little wiping the sides down, painting a square or scraping wallpaper. They’re going to have a great time knowing that the finished product will be theirs to play in! Furniture will last way longer than your child’s current interests, so it’s probably best to keep the colours simple and the themes uniform. This way, when they decide they’re into something completely different next month, there’s only a few items that need changing. Our Mmilo Armchairs and Dining Chairs are great for this – there’s plenty of colours to choose from, and they’ll work perfectly in most spaces. If there’s one thing that needs to be bought, it’s storage. A kid’s room can never have too many boxes, drawers and baskets to hold toys, shoes and unfinished bits and bobs. 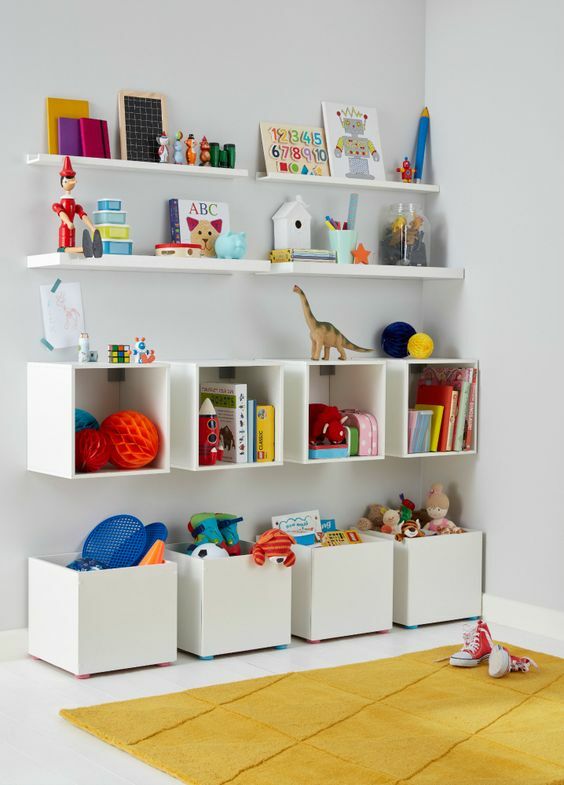 There’s plenty of storage solutions that are perfect for kids these days – whether it’s shaped boxes, multi-functional toy boxes and benches, or desks with extra drawer space. Having fun and organised storage units might encourage them to keep things neat and tidy too, so it’s really your chance to test out your ‘tricking the kids into doing what I want’ parenting skills. No matter how old kids get, there’s tonnes of benefits of grabbing a few chalkboards, or scouting some decent blackboard paint for the walls. That way, they’ve always got a place to play and write reminders if they need to remember things for coursework and class. It’s a fun way to get them engaged, whilst also meaning that’s one less wall to worry about wallpapering… Once the wall gets a little tatty and faded, just add another coat. If that’s not enough to get them excited for their new room, you might need to add in a few of their favourite toys and cushions. But with all of this to work with, there’s no doubt you’ll find the perfect parent-child design. 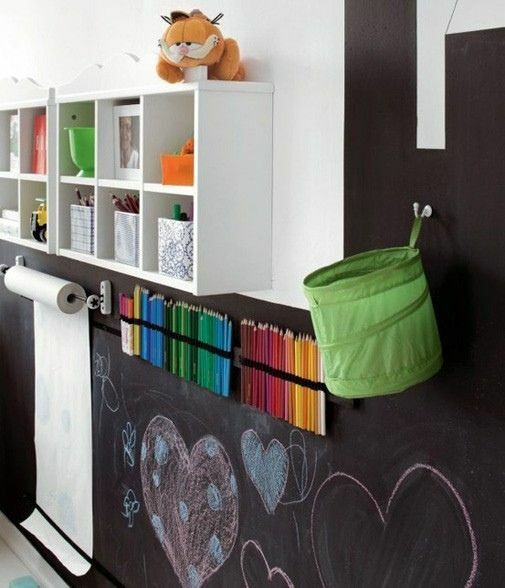 Let us know your tips for the perfect kids room, or check out our Pinterest board for more inspiration.